Home » Retirement Planning » Are Precious Metal Rollovers Safe? Are Precious Metal Rollovers Safe? Precious metal rollovers refer to the process of moving funds from a retirement account to a precious metal IRA. Precious metals that can fund this type of IRA are gold, silver, platinum, and palladium. Actual metals, stocks of the companies that buy and sell the metals, a precious metals mutual fund, or an exchange-traded precious metals fund are all possibilities for funding the account. Traditional and Roth IRAs can hold only cash, bonds, and stock. The Taxpayer Relief Act of 1997 broadened the types of investments allowed in individual retirement accounts to include certain types of precious metals. These IRAs are called “self-directed” or “alternative-asset” IRAs. Not all precious metals are allowed. Usually, they are limited to gold, silver, platinum, and palladium. Tax law also specifies the purity standards for each metal. For example, the American Silver Eagle coin is an approved silver asset. There was little demand for the precious metals IRA when it was first established. After the financial crisis in 2008, which precipitated a recession, investors became more interested in this type of IRA. In October of 2007, the stock market hit its pre-recession high. By March of 2009, the stock market had lost 50 percent of its value, and investors’ retirement portfolios followed suit. Precious metal prices move in the opposite direction from stock prices. Precious metals IRAs became attractive as a hedge against inflation, for purposes of diversification and for any concerning economic and world news that might cause another stock market drop. Is A Precious Metals Rollover Safe? While rolling over some of your retirement savings from another IRA or a 401(k) to a precious metals IRA can be safe, there are scams that prey on investors looking into this type of transaction. You may have heard the TV ads that promise ultimate security in gold investments. No investment is that secure. One issue that has led to the rise of scams in this market, is the increase in self-directed IRAs. Self-directed IRAs give investors many options regarding IRA investment opportunities, but the investor must manage the portfolio on their own. The U.S. Security and Exchange Commission warns against precious metals IRAs that promise unrealistic returns and bait and switch scams. To make a safe precious metal IRA rollover, you should follow this procedure. You first must open a self-directed IRA through an IRS-approved custodian, such as a bank or other financial institution. Then, you should find a broker who is charged with locating the precious metal bullion for you. It is essential to find a broker with impeccable credentials and an excellent reputation. If needed, your custodian can give you referrals. You should also check out the broker’s reviews and standing with organizations like the Better Business Bureau. The brokerage must understand that the IRS has purity standards for the precious metal IRAs and they should locate bullion that will meet those purity standards. Then, you can store the bullion with the custodian. The Gold IRA Investor’s Guide by Chris Thomas notes five scams that investors fall prey to when setting up a precious metals IRA rollover. Advertise Bullion, Upsell Numismatics Numismatic coins are collectors’ coins with their condition based on their rarity and mint, not the value of the precious metals out of which they are made. They are not eligible for inclusion in a precious metals IRA. Scammers will try to sell investors these coins instead of precious metal bullion. Coins that are eligible for inclusion in a precious metal IRA rollover are the American Eagle Silver and Gold coins, to name only two. Higher Prices for Graded or Certified Coins Some scammers will try to sell American Eagle coins that have been graded or certified to investors for their precious metals IRA. They try to make these sales at higher prices than you would have to pay for the coins. They convince investors that graded coins are superior to ungraded coins and that is not true when you are using the appropriate coins for your precious metals IRA. The scammer may add $50-$75 for grading while you can have them graded for $9 each. Don’t fall for this scam. Converting All of Your Retirement Nest Egg to Precious Metals A knowledgeable and respectable investment professional would recommend that you devote 5 – 25 percent of your retirement nest egg to precious metals, depending on your appetite for risk. Precious metals can serve as a hedge against inflation and a vehicle for diversification. They can be a risky investment. If an investment professional recommends that you convert all your money to precious metals, be wary of that salesman. Opening a Leveraged Account If any bullion salesman tries to talk you into opening a leveraged account, do not consider it. A leveraged precious metals IRA is one where the salesman loans you the money to buy more precious metals for your IRA. If you do that, you will owe interest and commission on the extra, plus you will eventually have to pay the loan back. Run from this scam. Excessive Commissions and Costs A financial advisor will charge you a commission for advice on your precious metals rollover. There may be excessive extra commissions if that advisor has helped you locate your precious metals. Instead of falling for this scam, employ a good broker by getting recommendations from the custodian you are going to use. That broker will find the bullion that is accepted for your IRA by the IRS. Avoid pitfalls when rolling over your investments into a precious metals IRA by employing the right broker and custodian to manage your account. This ensures approved IRS procedures are followed and will keep you from making a costly mistake. 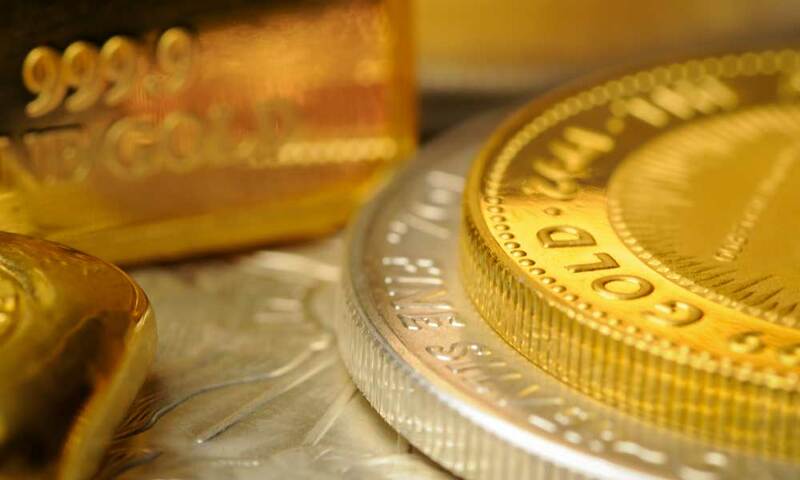 If you’re considering a precious metals IRA, check out our Gold IRA guide. What Is A Gold IRA Rollover? How Do I Open An IRA? What is a Self-Directed IRA? How Much Money Do I Need to Retire?